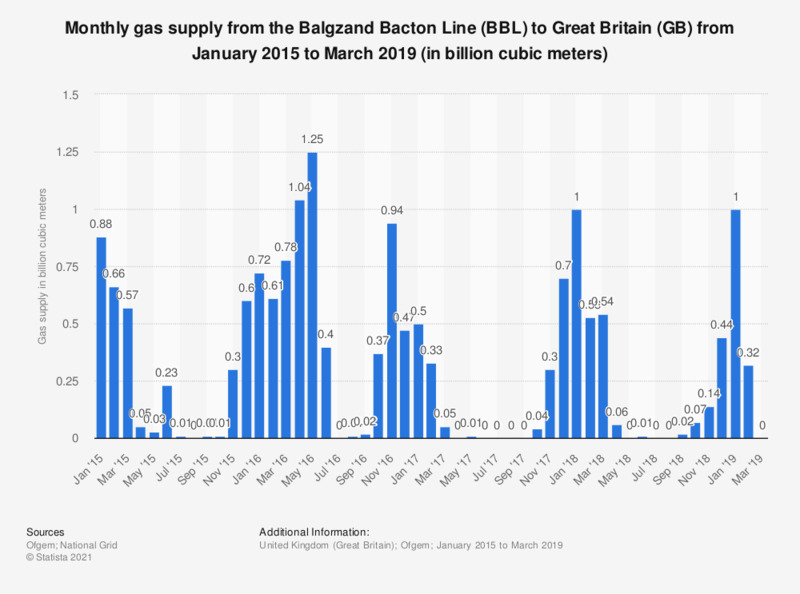 This statistic shows the gas supply from the Balgzand Bacton Line (BBL) to Great Britain (GB) by month, from January 2015 to June 2018, in billion cubic meters. It shows that the amount of gas supplied by the BBL decreased significantly over this period, reaching 10 million cubic meters of gas by June 2018. However, the amount of gas supplied by the BBL peaked at 1.25 billion cubic meters in May 2016.